Clive Davis—the record industry mogul who signed Aretha Franklin, Whitney Houston, Alicia Keys and countless others—is celebrated at the 16th Tribeca Film Festival. Clive Davis and Aretha Franklin in Clive Davis: The Soundtrack of Our Lives, opening night film at the 2017 Tribeca Film Festival. Janis Joplin. Bob Dylan. Bruce Springsteen. Whitney Houston. Barry Manilow. Aretha Franklin. Carlos Santana. The Grateful Dead, Miles Davis, Alicia Keys, Patti Smith, Notorious B.I.G. What do they have in common? Answer: Legendary music producer Clive Davis. Davis—who just turned 85—will be celebrated at the opening of the 16th Tribeca Film Festival at Radio City Music Hall on April 19. 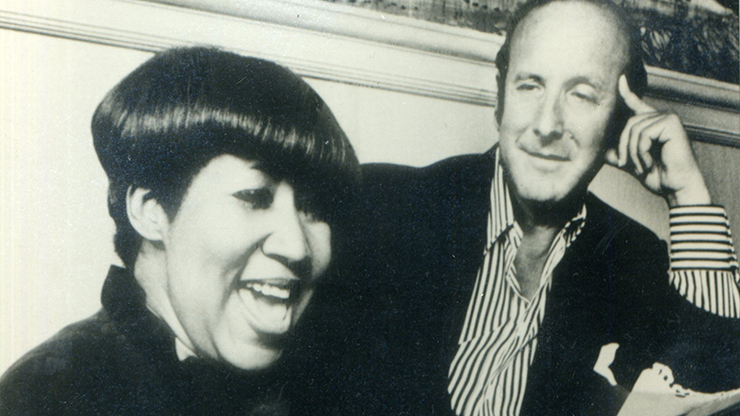 Clive Davis: The Soundtrack of Our Lives, a documentary based on Davis’ best-selling autobiography, tracks the “crazy career” of “the man with the golden ear.” Added bonus: Aretha Franklin, the Grateful Dead, Santana, Barry Manilow, Carly Simon and Dionne Warwick will all be on hand to sing after the screening. (See below for more on the Tribeca Film Festival. That singer was Janis Joplin. “Age 35, I was trusting my instincts,” Davis told one journalist. He “somehow sensed that the beginning of Haight-Ashbury was to be a musical renaissance.” While building the rock roster, he also pushed into other areas, signing Simon & Garfunkel, Bob Dylan, Barbra Streisand, Miles Davis and Weather Report. In 1975, Davis launched Arista, his own label, and, says Perkel, “reading the tea leaves, he moved into pop.” The first record, Barry Manilow’s “Mandy,” took off like a rocket. Perhaps most famously, he discovered Whitney Houston when she was 19 years old. Houston proceeded to make a string of seven No. 1 hits, breaking the record set by the Beatles; ultimately, she made eight platinum albums with sales of 55 million records. Davis went on to launch Patti Smith, financed hip-hop impresario Sean “Puffy” Combs, and record some of the most important music artists of the 20th and 21st century, including Alicia Key, Neil Diamond, Carly Simon, Rod Stewart and Miles Davis. Sensitive to the right moment, he also revived the careers of Barry Manilow, Dionne Warwick and Aretha Franklin, collecting numerous Grammys along the way. 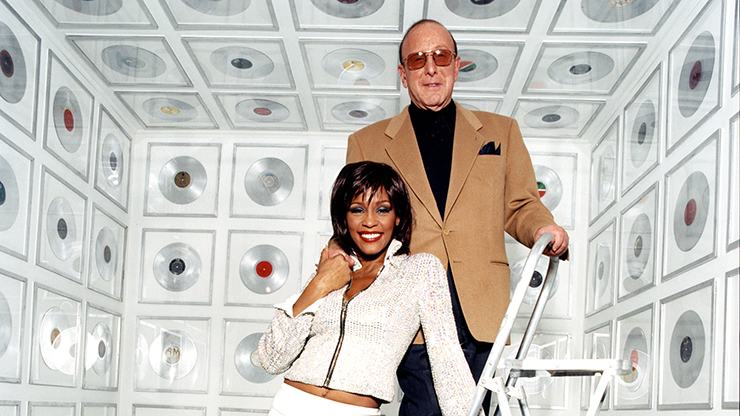 Clive Davis and Whitney Houston in Clive Davis: The Soundtrack of Our Lives. Perkel captures this all in the two-hour documentary, explaining, “I wanted to be sure to cover the scope and breadth of the work he was involved in.” To do that Perkel conducted 58 interviews and delved into the archives. Included in the film is a touching segment on the tragic death of Whitney Houston. The film is visually compelling, but it’s 125 music cues are its mainstay. Started in the wake of 9/11 to “bring people back downtown,” the Tribeca Film Festival is now an annual event, drawing viewers from every area of the upstate area. This years’ attendees will have a chance to select from a wide choice of offerings that include 98 narrative and documentary films, 57 shorts, 15 talks, 23 virtual reality and interactive installations, and 15 televised events that will be shown at sites throughout the city. (The festival has also come a long way vis à vis women in film: This year, women directed 32 of the feature productions!) Tribeca Film Festival schedule. Burt Reynolds and Ariel Winter share a moment at McDougal’s Pub in Dog Years. Photo by Bob Franklin. The festival opens on April 19 with a tribute to Clive Davis at Radio City Music Hall. It wraps up on April 29 at the landmark theater with special screenings of The Godfather and The Godfather Part II. On hand to celebrate the 45th anniversary of the classic film’s release will be a panel that includes director Francis Ford Coppola and actors Robert De Niro, Al Pacino, James Caan, Robert Duvall, Diane Keaton and Talia Shire. 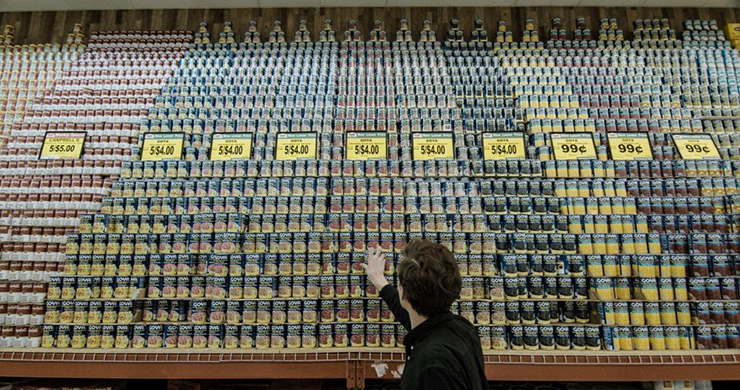 “The average American spends $1500 a year on food they will throw away.” Film still from Wasted! The Story of Food Waste, directed by Anna Chai and Nari Kye. Photo by Jeremy Leach. On April 22, Earth Day, producers have scheduled documentaries about the challenges facing life on earth. Wasted! The Story of Food Waste highlights chefs Dan Barber and Mario Batali, each of whom offers mouth-watering solutions to the crisis. 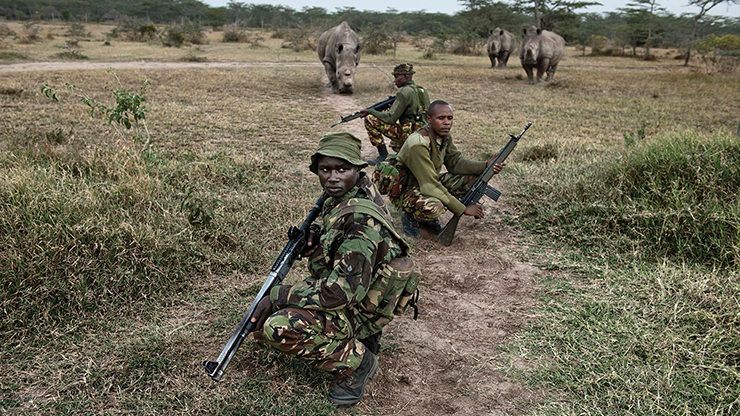 The Last Animals focuses on the poaching of elephants and endangered Northern White Rhino and efforts to save them. There’s even a virtual reality entry: The Protectors: A Walk in the Ranger’s Shoes documents a day in the life of rangers in an African national park; directors Kathryn Bigelow and Imraan Ismail will be on hand to discuss the film. The only three Northern White rhinos left in the world, heavily protected at Ol Pejeta Conservancy in Kenya. From The Last Animals, photo by Kate Brooks. Many films were produced abroad and a multitude feature New York and New Yorkers. Some of these film stories are fictional; others are documentaries, such as Frank Serpico and Get Me Roger Stone, the Republican operative who reveled in associating with Nixon and, recently, Donald Trump. (Trump has a cameo in the film, as does Paul Manafort, Trump’s ousted campaign manager.) Manafort credits trickster Stone for envisioning Trump as a politician, who communicated with Guccifer 2.0, the hacker linked to Russian intelligence. “Roger saw something that nobody else saw back in the early ’80s.” Be sure to get seats—and hold on to them! 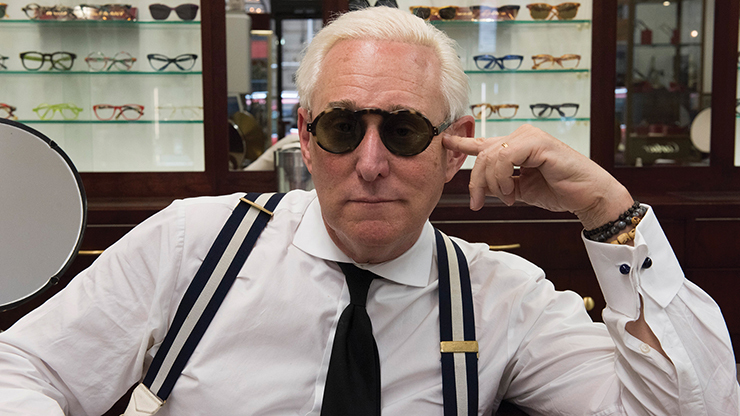 Roger Stone in Get Me Roger Stone. Photo by Barbara Nitke/Netflix.